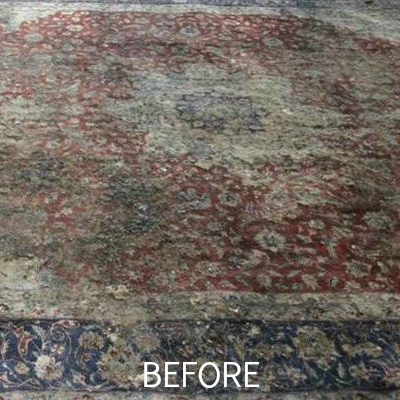 Soiling, stains, odors -- if your rug has these problems, we can solve them. We also offer great additional services to help maintain your area rug's cleaning. Consider having your rug treated with disinfectant to stop allergens and bacteria in the tracks, or have Scotchgard applied to protect your rug from any future spills or stains it may be subjected to. Put Pro Carpet's area rug expertise to work for you, and you can rest assured your rug will remain a beautiful piece of decor in your home for years to come. Watch this video to discover all about our area rug cleaning. Handwoven rugs, antique Persian rugs, contemporary shag rugs -- there are so many rug varieties out there, and each one requires specialized cleaning. Pro Carpet's technicians are trained on how to recognize each type of rug and the differences in the cleaning process for each. 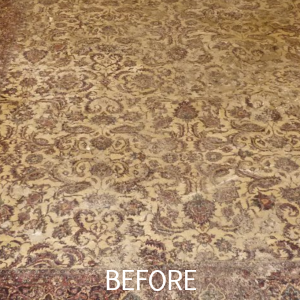 We are equipped to perform area rug surface cleaning in your home, or we can bring your rug into our facility to be deep cleaned by our rug care experts. Either way, your rug is going to get the high-quality service it requires. Our facility is known as The Rug Spa. When your rug arrives at the spa, it will first undergo a meticulous inspection by our rug experts. During the inspection, areas of concern or areas that may need special attention are noted. Once the inspection is complete, your rug will go through a dusting process to loosen and remove any embedded dirt and debris. Your rug is then ready to enter the spa, where it will receive an intensive full-submersion cleaning that is tailored to meet its individual needs. After the cleaning, the rug is placed in our state-of-the-art centrifuge equipment to extract excess water. It is then hanged to dry on our humidity-controlled drying racks. When it is ready for return, it will receive a final inspection and a combing of the fringes. It is then wrapped up delivered back home. Want To Learn More About Our Facility?